The healthcare industry has built up a reputation for lagging claims, mountains of paperwork, and a bureaucratic process that does more damage than good—but a lot of this negative feedback stems from poor patient and customer experience. Take the management of patients, for example. This process is typically over encumbered by redundant forms and requests for information already on file somewhere in the system. The problem with trying to streamline patient registration or workflow has to do with poor record management and filing. Identity solutions allow healthcare officials and institutions to improve the onboarding process by eliminating extraneous paperwork and their associated costs. It also goes beyond cutting down on paperwork. Identity solutions can help reduce labor costs, improve the flow of patient information and transactions, and reduce problems like claim rejections owed to wrong or missing information. There’s an increasing number of ways identity solutions can be used to improve the quality and efficiency of service. As the healthcare system makes the gradual change from physical paper documents to electronic medical record (EMR) systems, the benefits—and incentives for adopting a more streamlined approach—are becoming clear. Using card scanners such as MedicScan at the front desk of a doctor’s office or hospital allows patients to be processed in record time. Their information can be captured from an insurance card or ID, their EMR auto-populated, and their identity verified in a matter of moments. This saves time for all parties involved, particularly patients and employees. Streamlining the intake process boosts efficiency by drastically cutting down on potential for human error during intake, further reducing time spent on rejected insurance claims. With reliable identity solutions in place, healthcare can cut labor costs and wasted time by eliminating hundreds of keystrokes per intake, which frees up resources and personnel that can be better allocated. Devoting those resources to better patient care creates a lasting impression that helps build credibility and a better reputation. Healthcare is a popular target for hackers and would-be fraudsters. Implementing stronger protection for physician portals and EMRs, and utilizing authenticating technologies easily diminishes the potential for identity theft. When a patient’s identity and privacy are compromised, not only do they suffer financial fallout, but the industry has to deal with the fraudulent claims and any legal fees they incurred because of the initial theft. This can tarnish a business’s reputation and it’s critical to healthcare’s success to have a standardized, streamlined flow of patient information—one that includes identity safeguards. Having the power to verify patient identity allows hospitals and other practices to confirm that any given record is accurate and up to date, and gives them the peace of mind to know that their patient data isn’t being used by malicious hackers or fraudsters. The healthcare industry uses identity solutions, in part, as a security measure. They can protect customer information from falling into the wrong hands, but also ensure that medical records and health data are accurate. Errors in patient data could jeopardize future treatments or healthcare financial limits. Customers feel safer knowing their information is being protected and recorded accurately, which builds further trust between healthcare providers and their patients. 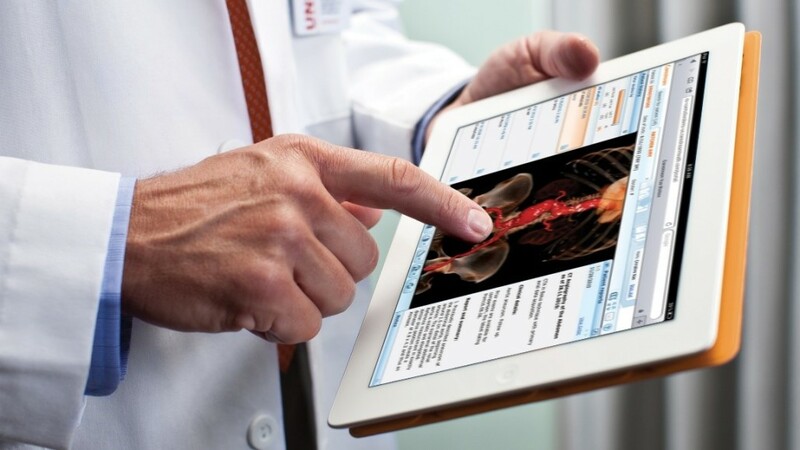 Healthcare staff are no longer bound to desks and front offices when patient information can be effortlessly pulled up on a terminal or tablet. Providers can swipe or scan IDs, documents, and insurance cards wherever they are, which means no more running around for charts or files. When doctors can recall patient information at a moment’s notice, it enhances the quality of their care, and their ability to interact with patients. This also applies to patient care in non-traditional settings, such as specialized pharmacy administration and home health care. Mobile identity solutions create a sense of self-sufficiency that many patients may prefer. With tablets or kiosk systems, they can handle their own registration and check-in. This is another contributing factor to lowering labor costs and improving the patient experience. Having self-service check-ins streamlines the registration process by further automating the input and recall of patient information. These advances allow something like retail clinics to exist as well. With almost instantaneous data capture and recall, these providers can quickly process medical insurance information to make more time for seeing the patient and administering care. Healthcare hasn’t completely adopted the current identity solutions available to the industry yet. As it does, it paves the way for a streamlined method of handling claims and patient care that reduces risk of fraud, identity theft, and lost time and revenue.